Summer camps used to be mainly about activities like canoeing, hiking and sitting around the bonfire late at night. Times change, and so has the definition of “camp” with more summer activities focusing on learning something in the technology field. 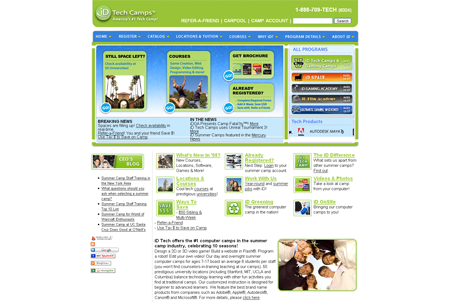 See where you can send your kids to beef up their tech skills, or if you have some other type of camp in mind, check out some directories with tens of thousands of choices. 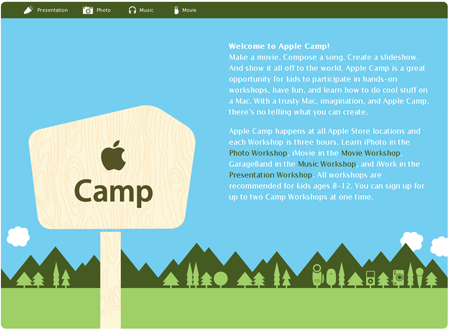 Apple Camps - Apple retail stores will be hosting Apple Camp this summer where children 8 - 12 can work with photos, movies, music or presentations. They can sign up for two classes at a time and they will get to take home whatever they create on a DVD so that can share it with their family. Children’s Technology Workshop - Offers icamp classes all over the United States that teach you lessons in robotics, video editing, game creation and several other technology related fields. Cybercamps Academy - Game modeling, robotics, C++ programming and more are taught at these camps across the country, preparing your kids for the future of the world while keeping them entertained through out the long summer months. Digital Media Academy - Run through eight universities, such as the University of California - Berkeley, the Digital Media Writers-Strike-Hurts-LA-Economy Academy focuses on all aspects of digital media. 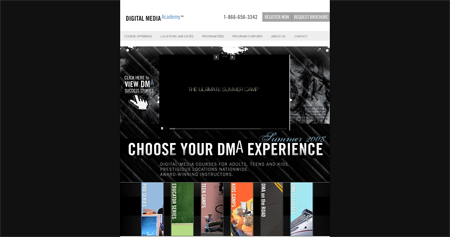 Unlike other camps, DMA helps kids focus on trying to find their career path in the digital arts. 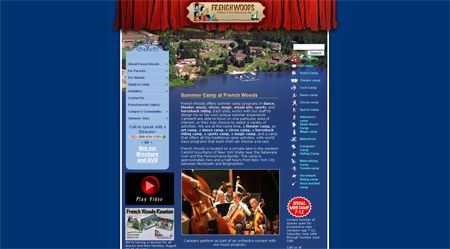 French Woods - Located in Florida in the winter, and in New York during the summer, French Woods offers a wide selection of different specialized summer camps. While there are computer and video camps for the technology minded amongst us, who wouldn’t want to also try out circus or magic camp? Guided Discoveries - Offers AstroCamp and SeaCamp programs in California. Both camps seem to mix their specialty with standard summer camp fare. Internal Drive Camps - Programs for kids between the ages of 7 and 17, iD camps are all over the country offering instructions in computers, web design, video editing, game design and a whole lot more. 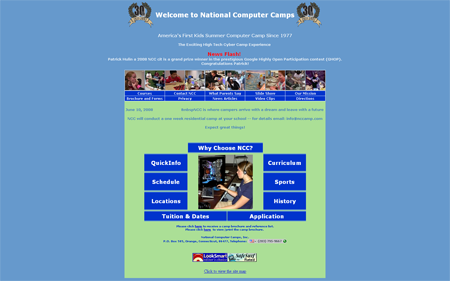 National Computer Camps - Operating since 1977, National Computer Camps offers classes for beginners to advanced in things such as Java, HTML, compilers and more. Camps are conducted in Connecticut, Georgia, Ohio and New York. Pali Overnight Adventures - Situated in southern California on 74 acres of land, Pali Overnight Adventures offers 14 different courses varying in length from 1 day to 4 weeks. Kids 9 - 16-years-old can try their hands at things like learning fashion design All-Dolled-Up, training to be a spy, or maybe they want to be a rock star, Pali seems to offer it all. Space Camp - Since it opened in 1982, kids everywhere in the United States have dreamed of going to Space Camp, even in spite of the horrible movie, Space Camp, released in 1986. 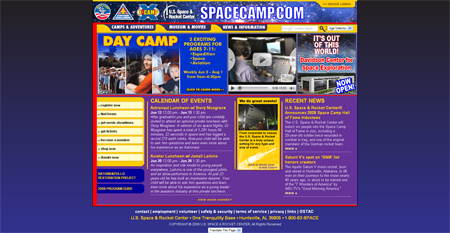 Located in Huntsville, AL, the camp aims to excite kids about the future of space exploration by giving them a taste of what an astronaut’s life is like. GrownUpCamps.com - As their tagline says, why should kids have all the fun? Find camps for that perfect summer experience for adults that you always wish you had as a kid. 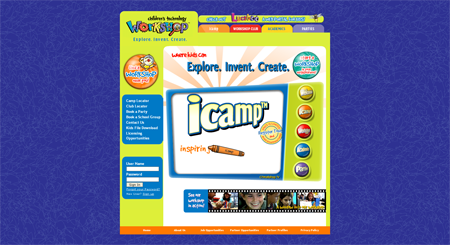 KidsCamps.com - Focused on the younger set, camps are broken down in to easy to navigate categories. 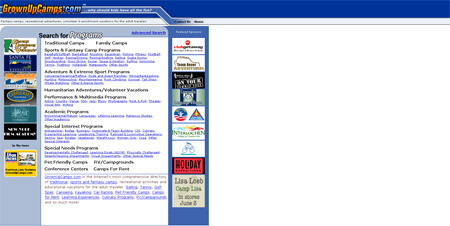 MySummerCamps.com - With nearly 17,000 camp listings, there is sure to be something here for everyone.